William Irving Phillips was born on the 15th August 1891 to parents James Thomas Phillips and Alena Jane Irving. Both Phillips and Irving families were early settlers, William’s grandfather originally from Langley Essex England, arrived in Australia in 1854 and his mother’s families were Scottish settlers arriving in 1841. William was born at Wingello Park north east of Marulan, New South Wales, an area known as Bushranger country. William spent his childhood up to the age of 12 on the family property “Glendusk” at Big Hill which was just west of Marulan. William had a number of siblings, his sisters Muriel, Elsie, Violet, and Amy and his younger brother George. Later in his teenage years he lived with his grandparents in Bowral while he attended senior school. It was at Bowral District School that William gained his “A” and earned a scholarship to Sydney Teachers college in 1910, he was 19 years old. After two years at Teachers College he gained a “2A” classification in the Department of Education. On the 17th August 1914 William “was accepted as a volunteer for military service abroad” and two days later sworn in at the Engineer Depot and was now number 192 with 1st Field Company Australian Engineers. His enlistment papers show his “trade or calling” as a Driver and Drover. Curiously William was in fact living in, and teaching at Manly Public school at the time he enlisted. William must have been the most overqualified drover in the country, however there was no doubt he was an excellent horseman, and his early life on the land gave him a love and respect for horses, a passion that remained with him throughout the war. Within a few days of enlisting William was appointed Batman to Lieut.Noel Biden. This position initially offered William the chance to stay around horses as an officer’s batman was not only responsible for their officer’s kit but also the officer’s horse and saddlery . William Phillips kept a diary from the day he volunteered on August 17th, 1914 up to the day he became very ill with enteric fever, which in his own words “nearly proved fatal” . After a few months in hospital William was invalided home on the Hospital Ship ‘Karoola’ and returned to Australia in December 1915. As soon as he regained his health, William Phillips returned to the war in Europe. William passed his diary on to his family. His grand-daughter, Beverley Prior the custodian of the diary, has carefully and lovingly transcribed William’s daily entries and has been extremely generous in her willingness to share this treasure for all to read. William’s diary is a wonderful glimpse into the daily life of one of the original Anzacs. He was one of the first to depart our shore, was on the second boat to land at Gallipoli and after a near fatal illness returned to Australia, recovered and later returned to England to instruct reinforcements. He then rejoined his original company in France on the western front and safely returned to Australia when the war was over. Original War Diary 1914 -1915 – courtesy of Beverley Prior and family private collection. This diary is a remarkable piece of Australian history especially for followers of the 1st Field Company Engineers. The diary has a wealth of information specific to the 1st Field Company, revealing terrific insights and episodes surrounding many of the original men, many details revealed for the first time. Unaware at the time of writing his diary, William also reveals much about himself. We discover William loved playing tennis, he was a handy card player, bridge and euchre, and was a crack shot with a rifle. He was a prolific reader, his wartime library consisting of “The Pickwick Papers” by Dickens, “The Girl of the Limberlost” , Mark Twain’s “ Innocents Abroad” and “ With Kitchener to Khartoum”. The diary reveals the quality of William’s education, the excellent handle he had on the English language as well as his healthy sprinkling of long forgotten Aussie slang and phrase. His diary also reveals that it wasn’t always smooth sailing among the originals of the 1st FCE, William giving account of a few “fistic encounters”. Often a fight or two breaking out among the men, leaving a “damaged optic” or a “walloped” sapper. His love of horses was never far from his mind, his diary full of tales and sentiment towards them, often describing the spills and tumbles and sadly when one … “pegged out”. It appears he had the privilege of sharing Lieut. Biden’s horse, nicknamed “Warrigal” who “flew off and kicked a chocolate kid in the dinner box” and another horse “Maid Marion” had “turned a sugar –doodle” . William made many references such as “sugar-doodle” and “Got trick purse at Mena”, “worked the oracle with Mohammat for cooking” …the meanings remain somewhat of a mystery, but still fun to read. An easy map to read, showing the key locations in Egypt. Apart from his day to day duties, William’s time at Mena Camp in Egypt was well spent. He formed close friendships with many originals, and shared in the spills and misadventures of camp life. William gives a sense of being very comfortable during his time at Mena, enjoying the simple things that Egypt offered, taking the horses for exercise around the Pyramids and Sphinx, and occasionally dining at the soldiers’ club in Cairo. On one evening after a donkey ride to a pyramid, he had a “Great climb” and sat for a time on top with cup of coffee and admired the “glorious views” of the farms of the Nile, he described it as a “wonderful country “ and marvelled at the Sphinx on one side and a buried city on the other side. On one occasion taking a bike ride to Gizeh Gardens, William discovered the pavements had been designed with pebbles and the zoo with a wonderful maze of caves and animals, and that night writing home to tell of his discoveries. For a learned young man his thirst for knowledge was enriched by his adventures in Egypt, but all along he knew it would be short lived. He expressed no fear of the unknown and always remained calm when putting pen to paper. On February 27th 1915 he wrote “Orders to move…..Wonder where” and within a few days the company was preparing for a transfer to the Island of Lemnos. The night before embarking for Lemnos, William and close mates, 189 Reg Weames, 163 William Rice and 193 Forde Leathley “nicked off” for a “good square meal in town”, perhaps all of them sharing a familiar feeling that it could be the last good meal for a while. The men embarked on board the ‘Suffolk’ and arrived at Lemnos at approximately 4pm on Thursday the 4th March. William and his section remained on board for a few more days. No longer admiring the ancient beauty of Egypt, he was now a spectator to the rapid preparations for war, and destination still unknown. The increase in the tempo of war emerges in his daily entries. The “warships & destroyers keep coming & going” …… “20 sappers chosen for the scene of action”…. “transports arriving each day”. The company spends the entire month at Lemnos, the work rate lifts, and discipline is readily enforced, they are preparing for a landing but still unaware of the destination. They build water wells, and leading water supplies from the hills. They build what became known as the “Australian Pier” …… and pontoon rafts for a landing stage. On April 1st , William received six letters which he thought was ‘glorious”. He was delighted and amused to see everyone else receive news from home. They still had no news of their scene of action, people from home believing they were headed for action in the Suez. The next day William received ten more letters and the home sickness was temporarily suppressed. On April 7th William writes “believe we are to form a landing party and will see fire and brimstone flying” ……he was right. Three days before the landing day at Gallipoli, it was confirmed that the men of the 1st FCE would be with the first landing party. The men of the company started rehearsing landing operations in “pulling boats”, William Irving Phillips later revealing he was in the second boat that landed at Gallipoli. William’s diary notes take over from here…………………………………. At Sea, Turkey. 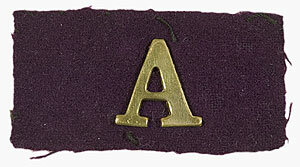 25 April 1915. The destroyer Scourge towing strings of boats, alongside and astern, to the landing beach at Anzac Cove, Gallipoli Peninsula. When about 200 yards from shore, the troops were transferred to the boats and were rowed ashore. William’s time at Gallipoli and his diary entries give enormous depth to the daily life of the engineers at Anzac. He brings to life the difficulties of a simple existence on the cove, but finds time to add levity to the situation with his clever play with words … “living a quiet life with plenty of shrapnel – Turkey and Duck”. When William wasn’t preparing dugouts for his officer, he was cooking at headquarters, dodging shrapnel, and then rebuilding dugouts that were often blown apart. William and his close mates were often running the gauntlet of sniper fire and Beachy Bill to bring forward stores, and yet he casually describes it as just “another day of shrapnel”. William’s diary is a wonderfully honest account of his close relationship with his fellow engineers, it is occasionally graphic but always captivating and even the uncomfortable topic that “Several of our chaps have accidentally shot themselves through the foot lately – looks suspicious” … is not overlooked. William continues documenting the eventful days at Gallipoli up to the 8th June when suffering from dysentery, he is sent to Mudros Hospital but under protest. On the hospital ship he is faced with the reality of his own illness and “the horrors of warfare when one sees fine chaps crippled and maimed & hear the stories of the deaths of their mates”. William is very ill and understandably, his diary notes reflect his slowing in strength and the previous spark he possessed has started to fade. After nearly a month’s rest William “Reported fit and chose to go back to Gallipoli the company rather than to base……and landed about 2 a.m at Anzac beach. Found my section had been shelled out of old quarters so slept under bank for a couple of hours”……Soon after William noted that he was now a “full blown sapper”. The next few weeks were hot and strenuous. William was now in charge of work shifts preparing bivouacs for many of the fresh troops that were now arriving. William noticed a significant difference in the troops, “All getting rundown & played out. A lot of sickness”…and William soon joined their ranks with a serious ear infection causing deafness. William again reluctantly, left Gallipoli, his good mate 167 Bert Currie bid him farewell. While he was on the hospital ship, he managed a good sleep on a soft mattress, had some cocoa, “living high” he thought. A bath and a change of clothes was wonderful and then he suddenly realised how terribly thin he was. In the first days of August, William was transferred to the hospital ship ‘Neuralia’ and destined for Alexandria. He was then taken by hospital train to Cairo and then Heliopolis and admitted to Luna Park, the “White City ” of Cairo. Another week passed and William had the good fortune to catch up with fellow originals and casualties 98 Frank Healey and 150 Leslie Cridland. 98 Frank Healey was shot by a sniper on landing day 25th April, a gunshot wound to the back and spine causing paralysis from the waist down. 150 Leslie Cridland was also wounded, a severe gunshot wound to the thigh. Will Phillips had a long talk with Frank Healey and possibly tried to comfort Frank, while also attempting to reconcile his own circumstances…. meanwhile fellow sappers 26 Roland King recovering from dysentery and 100 Roland McNair with his wounded leg “go out and ink up” a reference to tattoos, and they later returned with books which he wanted. William’s passion for reading never waned and his mates returned with a copy of “Dombey & Son” by Charles Dickens. On 14th August 1915 William made his last diary entry………. The following day his temperature flared up and enteric fever took its grip swiftly and proved nearly fatal. William didn’t continue his diary after his departure from Egypt, but his grand-daughter Beverley was fortunate to have spent her early years with William and as a direct descendant of an ANZAC it is only fitting that she completes his fascinating story. In company with this chapter in William’s life are some rare photo’s that Beverley has kindly granted permission to use. Despite continued hospital treatment in Cairo after leaving Lemnos, William did not recover sufficiently to return to immediate active service. 30.10.15 He left from Port Said aboard Karoola to return to Australia for further treatment and convalescence. He arrived in Australia 4.12.15. He was deemed fit to return to duty 28.03.16. 30.09.16 William left Australia for UK aboard Aeneas with Australian reinforcements, and arrived in UK in November 1916 to join the Mounted Details Australian Engineers. After fitness training at Aldershot, he was based in Brightlingsea Essex in the Mounted Details Australian Engineers during 1917. Will’s role as an instructor was to train Australian Engineers [reinforcements] at the Training Depot at Brightlingsea. Photo courtesy of Beverley Prior and family private collection. Australian Engineers – Mounted Section Brightlingsea, England – courtesy of Beverley Prior and family private collection. 1.01.17 He was appointed L/Cpl (Dvr) Engineers Training Depot Brightlingsea. 9.05.17 Appointed Sergeant Mounted Details Australian Engineers. He was promoted to Sergeant Major soon after. Plenty of opportunities for horsemanship! New recruits were taught bridge, pontoon and road building as well as trench and tunnel digging. Wagon section – William’s handwritten notes on the postcard for the family back home. – photo courtesy of Beverley Prior and family private collection. William Phillips on his officers right on the – “roan mare with three white feet”. – photo courtesy Beverley Prior and family private collection. William Phillips – middle row, 3rd from left – photo courtesy of Beverley Prior and family private collection. During the cold Winter months, the Australians were billeted to local Brightlingsea homes and they camped on the Bayard Recreation Ground during the Summer months. Towards the end of 1917 Will wanted to join the Engineer forces in France on Active Duty, so on 12.11.17 he reverted to the title of “Driver” in order to enable this change. He moved to AIF Depot at Tidworth prior to his transfer to France. From Southampton he sailed to France. Records indicate that he arrived at the Australian Base Depot at Rouelles in Northeastern France in April 1918, but no further details are available. In August 1918 records indicate that he reverted to the title of “Sapper” from “Driver” at his own request, suggesting that he wished to rejoin his “Sapper” mates on the battlefield. He served on Active Duty in France until after the Armistice, remaining there until 24.01.19 when he returned to the UK. He left England to return to Australia aboard Kildonan Castle in March 1919, arriving back on Australian soil in May 1919. After discharge Will returned to Manly Public School and resumed his duties as a teacher. He also enjoyed coaching his schoolboy Rugby team – they became Undefeated Premiers in the Rugby Union Schools Comp in 1920. One of his pupils at the time was the swimming champion “Boy” Charlton. In December 1920 Will married Annie Stephens at Bowral Methodist Church. He had known the Stephens family since his school days at Bowral. The newlyweds settled into a house in Fairlight near Manly School. A year later their son Keith was born. William’s career as a teacher continued for another three decades. Transfers and promotions took the family to Armidale, Delungra (where daughter Helen was born in 1925), Murwillumbah, Cessnock and Dubbo. In 1936 Will took up the position of Headmaster at Neutral Bay School and the family returned to Sydney and bought a home in Neutral Bay. Several years later during WW2, he became Headmaster at Bourke St Surry Hills in inner Sydney, a challenging role where many of his students came from deprived and dysfunctional situations. Will devoted many additional hours providing extra assistance to special-needs students in an attempt to help them gain some degree of literacy prior to leaving school. It was during this time that the Phillips family received the devastating and tragic news that on 1.01.1943 their only son Keith, aged 21, had been killed at Buna in New Guinea at the end of the Kokoda campaign. Due to ill health, and after a short period in the role of a Teaching Inspector, Will took early retirement in 1950. The family enjoyed an extended trip to England and Europe. During this time he returned to Brightlingsea, and visited some of his old friends and billeting families whom he had met during WW1. After his beloved wife Annie died in 1959, Will moved to Balgowlah in Sydney to live with his daughter Helen, son-in-law Norman, and grand-daughters Beverley and Jenny. Not only was he a loving and devoted grandfather, but his teaching background prevailed and he relished any opportunity to extend his granddaughters’ knowledge especially in History, Geography and English. I am very grateful for his influence and company during those years; he added a valuable dimension to our family life. Bert “Scrubber” Currie from Griffith NSW was a Gallipoli mate who remained a close friend to him and our family after the war. Will attributed Bert’s unselfish acts of heroism to saving his life at Gallipoli when he was so dangerously ill. I do not recall my grandfather talking about the war other than to describe Bert’s bravery and friendship. He always maintained a keen interest in, and loved returning to, the family farm at Big Hill where he would spend extended periods with his brother George (a returned Light Horseman), nephew Stan and family. Brothers Will and George – photo courtesy of Beverley Prior and family private collection. Throughout his life he remained a keen sportsman and in latter years enjoyed lawn bowls. He was also an excellent gardener – winning prizes for his championship gladioli, roses and dahlias. He always enjoyed growing his own vegetables, no doubt a skill learnt during his years living at the Big Hill farm. He was President of the NSW Retired Teachers’ Association for several years, remained a committed church goer and took a keen interest in current affairs and politics. The following PDF file is the full “Diary of William Irving Phillips” – transcribed by his granddaughter Beverley Prior. 1. Kind thanks to the family of William Phillips and particularly granddaughter Beverley Prior for her generosity and dedication. Once William fully recovered and returned to England embarking on the HMAT A60 ‘Aeneas’ on 30 September 1916, Five other originals also returned on the same vessel, 131 Leslie Powell, 179 Edwin Cooke, 185 Norman Mylecharane, 195 Victor Morris and 197 Percy MacCauley.